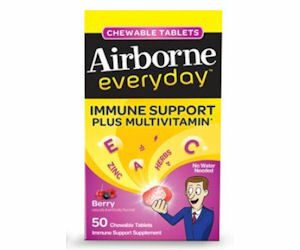 Request a free sample of Airborne Everyday Chewable Tablets! Allow 6-8 weeks for delivery. *Not mobile friendly Please switch to the desktop version or use a desktop computer.